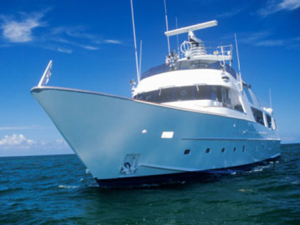 Most companies provide limited coverage for property damage for small boats like small sail boats or small power boats with less than 25 miles per hour horse power under a homeowners or renters insurance policy. Coverage is usually about $1,000 or 10 percent of the home’s insured value and generally includes the boat, motor and trailer combined. Liability coverage is typically not included but can be added. Larger and faster boats and personal watercraft require a separate boat insurance policy. For physical loss or damage, coverage is through either an actual cash value policy or on an agreed amount value basis. These policies also provide broader liability protection than a homeowner’s policy. Agreed Amount Value policies mean you and your insurer have agreed on the value of your vessel and in the event of a total loss you will be paid that amount. Agreed Amount Value policies also replace old items for new in the event of a partial loss, without any deduction for depreciation. We are always ready to review or quote your boat or watercraft insurance, call your knowledgeable Hometown Independent Agent at 1-800-568- SAVE (7283) or email us at: service@hometowninsurance.com. Thank you!